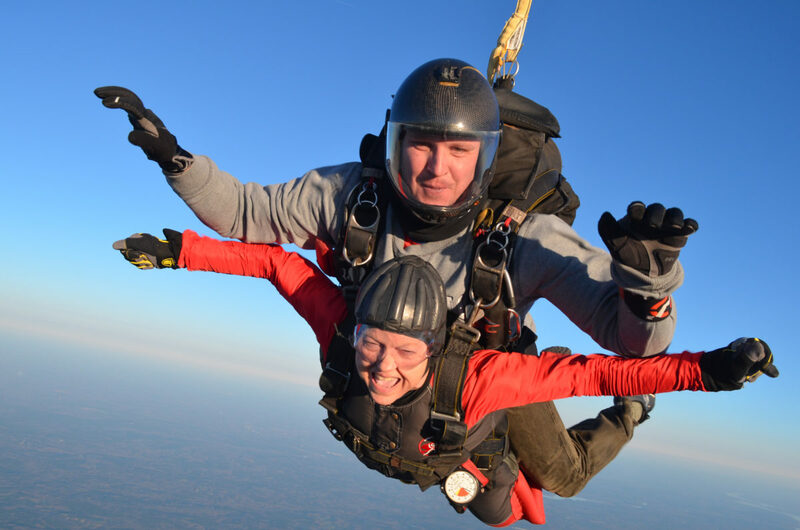 March 4th was like most other beautiful skydiving days: blue skies, tandem students filling the hangar with excitement and anticipation, and jumpers filling the plane. 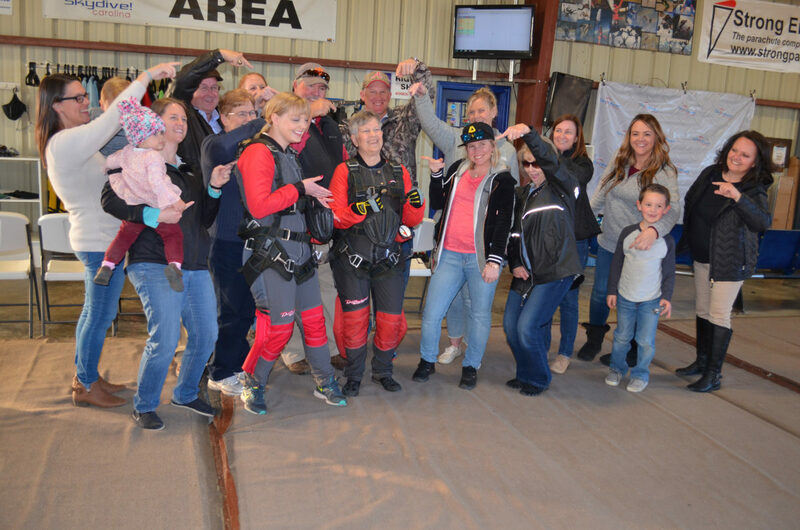 However, one woman stood out of the crowd, but only because there was an unusually large crowd joining to watch her make the big leap. You can tell there was something special about her, but we didn’t find out until later. 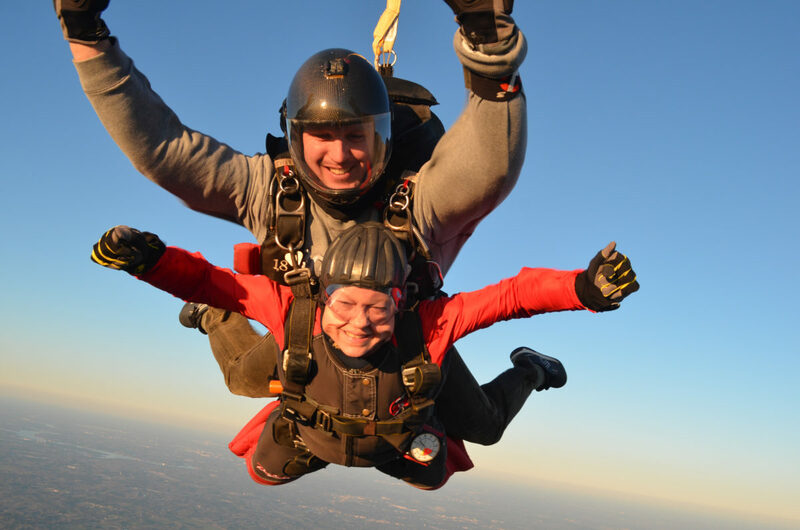 Join us as we find out more about Barbara Pigg and her amazing journey to completing her ultimate bucket list goal! Barbara is a North Carolina native, being born and raised in Monroe. In 1972 she took a job at Combraco Industries and she stayed there until she retired at 61 years old. 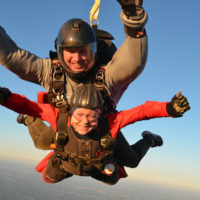 Retirement didn’t slow her down! In fact, she filled her time working as an assistant and substitute teacher, served on the Board of Elections, assisted in charity work, and helped small companies manage their inventories. 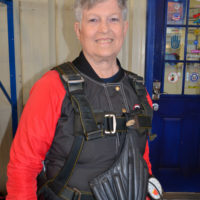 It’s no surprise with Barbara’s hard work and go-after-it attitude lead to Combraco Industries calling her back from retirement and employing her for another four years. 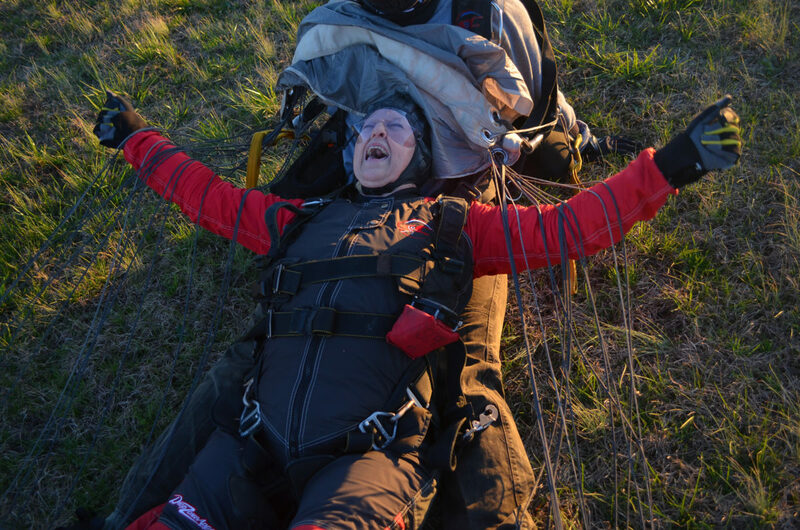 When talking to Barbara you can get a sense of her compassion, faith, and courage. 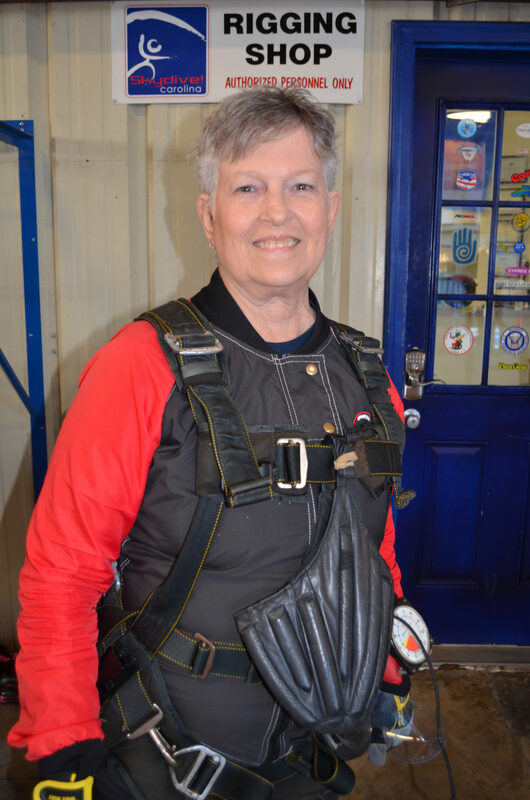 Barbara fondly shared her involvement with the Unionville Elementary School annual BBQ fundraiser, “it’s an event that brings the community together and is a lot of fun.” She also talks about her involvement in church to reminiscing always having a desire to jump from a plane. However, after her time at Combraco Industries, things were about to drastically change in a way no one could have ever predicted. 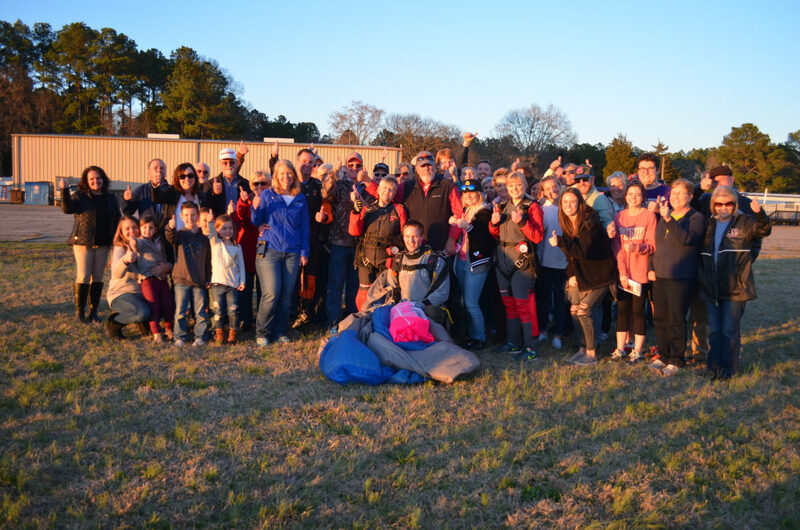 Barbara was involved in Upward – a youth sports program to help kids develop their athletic skills – and after coming home from one of their games, she experienced an indescribable pain and her temperature soared. Barbara called her doctor who sent her straight to the ER. 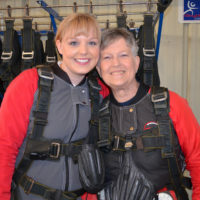 Barbara was met with unexpected news, she was diagnosed with Stage 4 cancer. 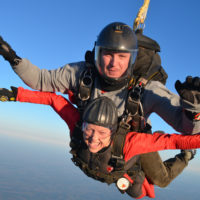 A few weeks later, Barbara spoke to one of her friends about the desire to jump from a plane, the ultimate bucket list experience. 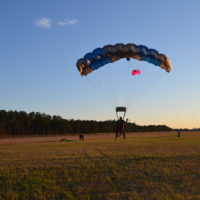 Unexpectedly he said, “I’ll go!” And so would his daughter, son and wife. Barbara’s ‘adopt-a-student’ of six years, Kari Willis said she would go too. 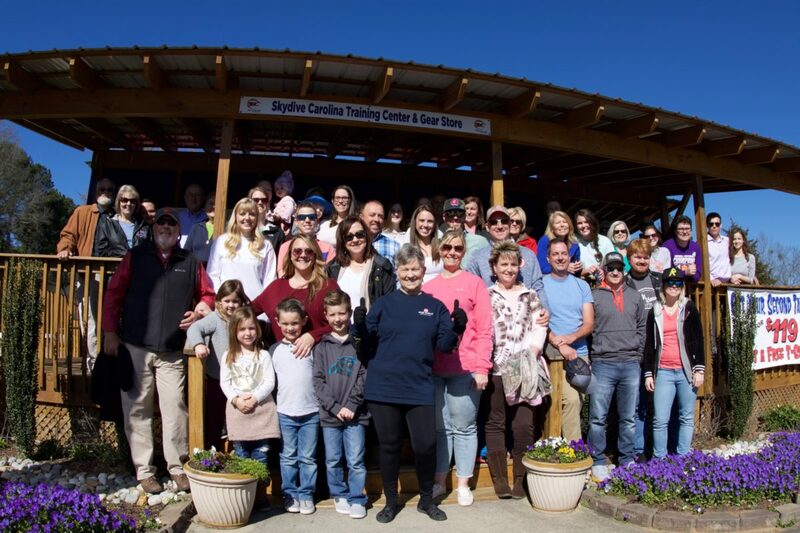 And so would many of her other closest friends and family to come out and support her and watch her jump from a plane. 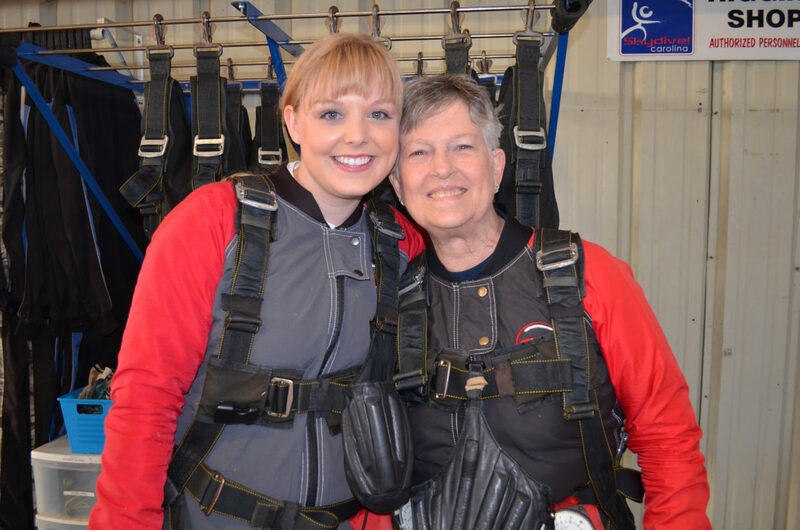 Since Barbara’s diagnosis, she’s undergone several surgeries, chemotherapy, and even entered a trial, but her cancer has not subsided. She says, “I have no heart or respiratory problems so I am fortunate, and God is good.” However, Barbara is currently in hospice care. 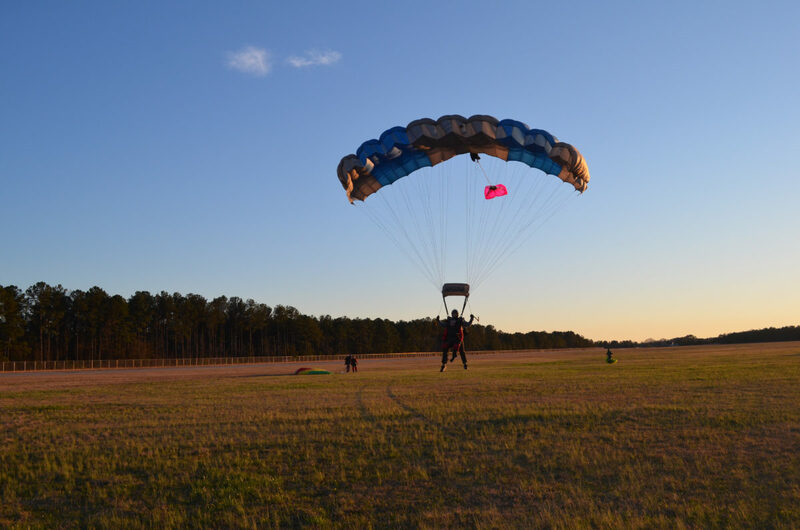 If you are inspired and ready to make the leap, try tandem skydiving at Skydive Carolina!